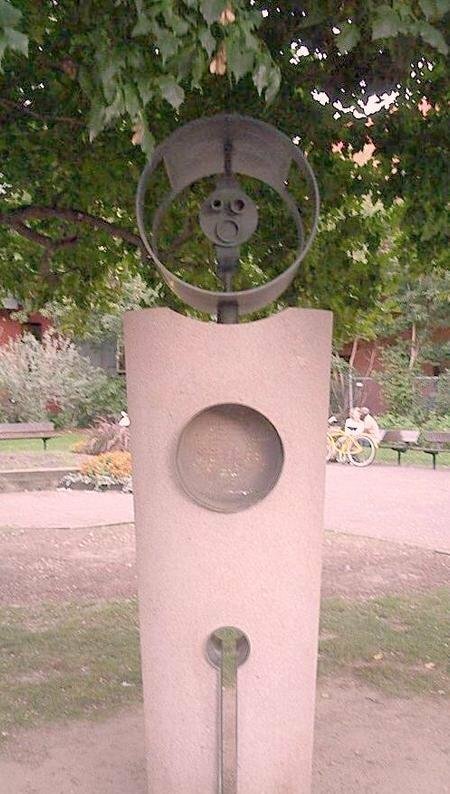 The upper part of the sculpture is occupied by a complex cylindrical composition with an orange sphere in the middle. 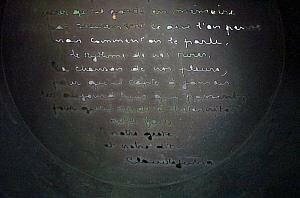 A circular brass plate featuring a cut out inscription sits at the center of the structure. The lower part of the structure includes an opening covered with a metal strip. The trophy awarded at the Jutra Awards ceremony (Québec film industry awards) was inspired by this artwork.